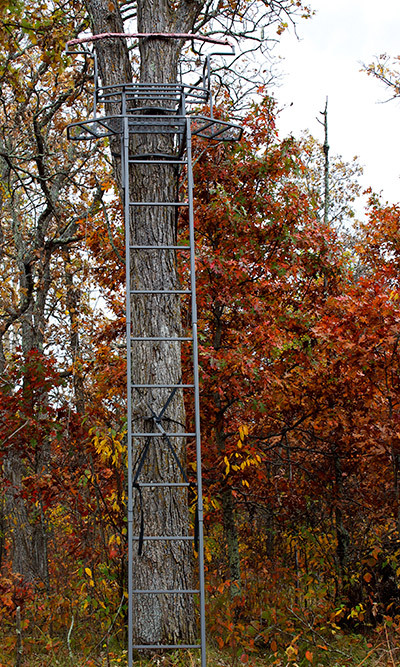 I think a key factor in successfully harvesting whitetails early in the season is to know the right spot to install your tree stand. If you’ve done your pre-season scouting properly, you should have an idea which areas have an abundance of whitetails’ food sources. Because whitetails would most likely be focused on stocking up on calories in preparation for the colder months, they would be actively feeding in the mornings and afternoons. Another pointer: Pay attention to the wind direction when you install your stand. You want a spot where your target won’t be able to smell you. If you can, install two stands in two spots with opposite wind directions, so you’ll have options once the weather changes during your hunt. Early season is generally hotter and more humid than mid-season, so you shouldn’t wear your regular hunting clothes if you plan to start hunting early. Deer have a very powerful sense of smell, which means they could smell you once you start sweating out in your winter hunting clothes. Pick hunting clothes specifically designed for early hunting season. These may include soft-shell stretchable fabric that allows you to move freely without straining your muscles. Ideally, your clothes should be thick enough to keep you warm from the autumn wind, but still thin enough that you don’t end up sweating excessively. While quiet and breathable clothing is ideal, they should also be waterproof and scent-proof. 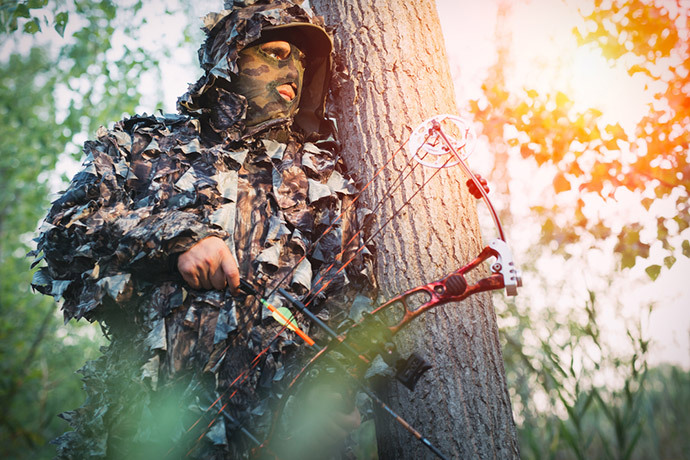 Make sure to get clothes from good clothing lines that offer hunting clothes with anti-odor technology that will help mask your natural scent. Early hunting season means that the whitetails’ coats are starting to get thicker in preparation for the upcoming winter. Hence, deer usually prefer to move around in the early morning because noontime becomes too hot for them. They also feel more relaxed and less cautious at this stage of the hunting season, so you might find it easy to spot a buck strolling back to its bedding area in the early morning hours. If you’re not an early riser, you may want to wait out until late in the afternoon to start your hunt. Again, the temperature would have dropped by then, so deer would be more willing to go out again to forage for food. And because deer are naturally nocturnal animals, you might be more successful spotting a prize once dusk begins to set in. I like to use a contact grunt and estrous bleat call early in the season to do some blind calling. Contact grunts often get nearby bucks to check if there’s another buck in the area that might serve as competition, while an estrous bleat might attract a buck because it would think that there is a doe nearby that is ready to mate. While rattling antlers usually work better in the rut, you can still use light rattling to attract potential targets into your hunting space. Some bucks might be in the mood for a friendly spar, so you might want to try some light, infrequent rattling just to alert nearby whitetails in your surrounding area. 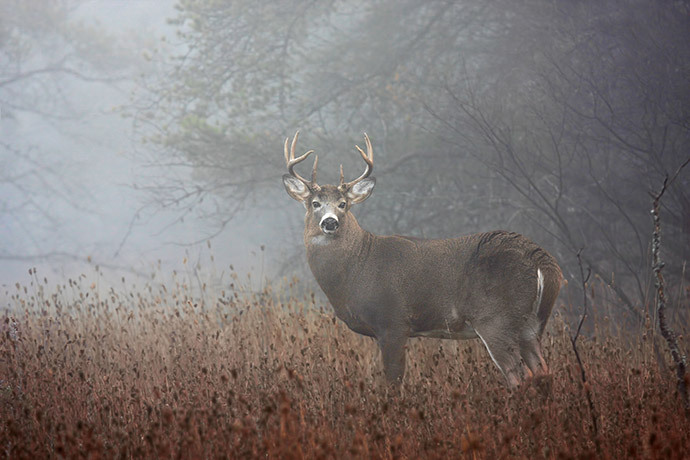 Set up a large buck decoy in an open field or strategic spot near the deer’s usual food sources. Because early season means that most bucks travel in bachelor groups, there’s a bigger chance that you would be able to get the attention of the group’s alpha male with the use of your decoy. On the flipside, avoid using a doe decoy or even a buck with small antlers. This kind of decoy might attract fawns and younger deer, which aren’t really good targets. The larger your decoy, the more it can attract bigger, more mature bucks you could set your sights on. Food plots are a great way to attract deer to your location. 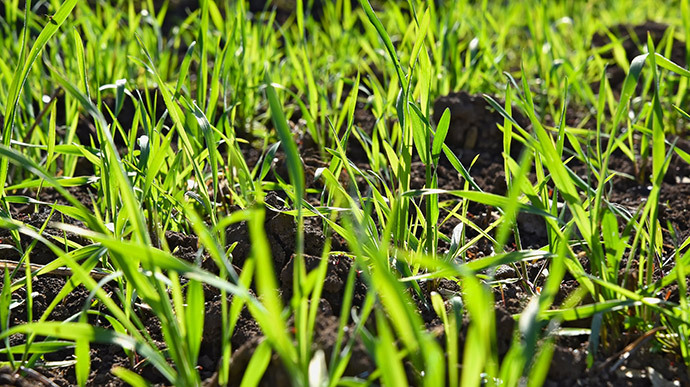 Wheat and oats are good autumn food plots because they are easy to grow and deer eat them as a primary calorie source. Deer also love clover, and when planted and maintained properly, it could serve as an attractant not only in the early season but in succeeding seasons, too. If your hunting ground does not have natural food plots, you can also purchase commercial attractants that are nutritious and rich in protein, and use them to attract whitetails to your spot. I make it a point to carry different scents during a hunt and use them as lures to attract whitetails to my hunting spot. I find that buck urine is the most effective lure in early season deer hunting, as curious whitetails often check it out and see if there are other bucks nearby. Doe urine is another good lure, as some bucks might wonder if there are does ready to mate early in the season. Whether you use buck or doe urine, make sure you don’t set your lure too far away from your hunting spot. About five hundred yards or so should be a good distance; otherwise, it would be too long and far to be really effective. 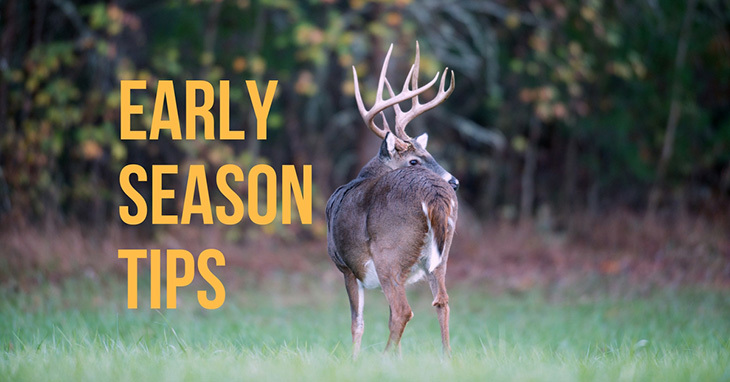 Although I’ve made this list specifically for early season deer hunting, you could also use them in other stages of deer hunting season. The important thing is to know which part of the season—whether the rut or post-rut—these strategies would work well. Do you have other tips for early season deer hunting? Leave them in the comments’ section below. Happy hunting!